Sihle Mooi is the Executive Director of Rays of Hope. He has held the position for the past two years, having previously headed up the Orphaned and Vulnerable Children programme at Rays of Hope. Sihle was born and bred in the heart of Soweto. After graduating from Law Studies at Wits University, he went on to study Theology at George Whitfield College in Cape Town and later at Cornhill in London. He then lectured for four years at Johannesburg Bible College, pioneering the Soweto Campus and sat on the Board of the College. 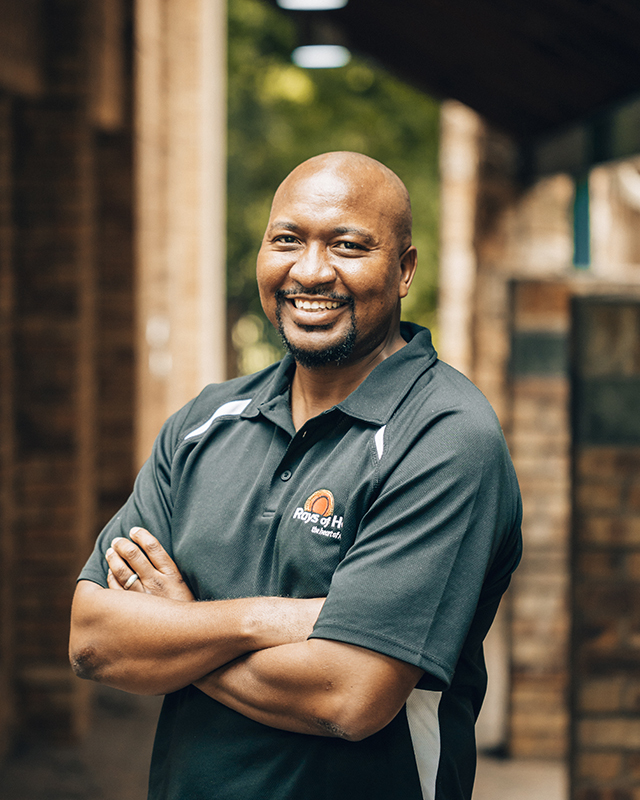 Sihle is passionate about mentoring and developing young leaders from marginalized communities and has led the establishment of three new churches in three different major cities in South Africa. It was during the years of leading a church in Soweto that he got involved with orphans and vulnerable children in the community. He has lectured and facilitated workshops nationally on topics including Race and Understanding Townships and views himself as a bridge between communities; the privileged and the poor, townships and suburbs.